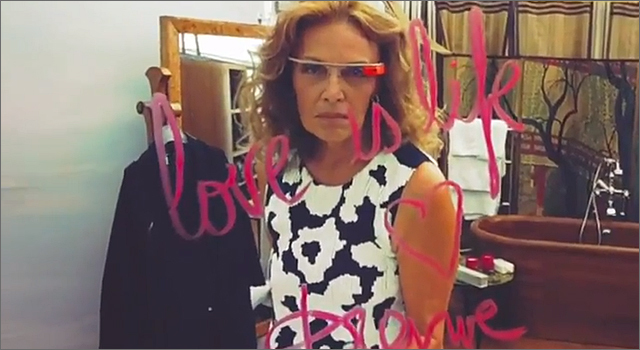 Google Glass technology was front and centre last week at the DVF Spring 2013 show at New York Fashion Week. The head-mounted devices were worn by the models, stylists and Diane von Furstenberg herself. It’s unlikely that the advanced augmented reality features of the device were ready and available to the wearers at the event. In June at Google IO 2012, co-founder Sergey Brin announced that the public will have to wait until 2014 for the devices, while developers can get their hands on an “Explorer Edition” sometime early next year.